The future office is here — on the roads of Delhi and Gurugram. After business centres, coffee shops, co-working spaces, and pro-working set-ups, get ready to welcome the office-on-wheels. Pro-working start-up AWFIS has just launched a mobile office: a van equipped with Wi-Fi; teleconferencing, printing, CCTV and pantry facilities; and even a meeting table for the use of companies that want their employees’ commute time to be used productively. So, traffic snarls and bad connectivity can no more be excuses for missed deadlines. Ramani, an architect who went on to specialise in workplace strategy, founded the India office of global workplace design firm Nelson. 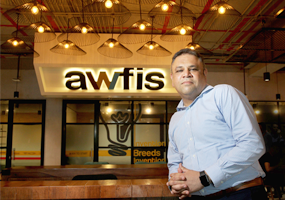 In 2015, AWFIS was set up with a seed capital of $10 million with investments from Ramani and Radha Kapoor, daughter of YES Bank founder Rana Kapoor. Ramani feels that the mobile solution will be timely in an era of driverless cars. “By 2020, driverless cars will be a reality. What will people do when they get into the car? The space and use of a car will certainly undergo a change,” says Ramani, adding that the van has been launched also as an experiment to study work habit behavior on the go. Now on its pilot run, the van is open only to AWFIS members. 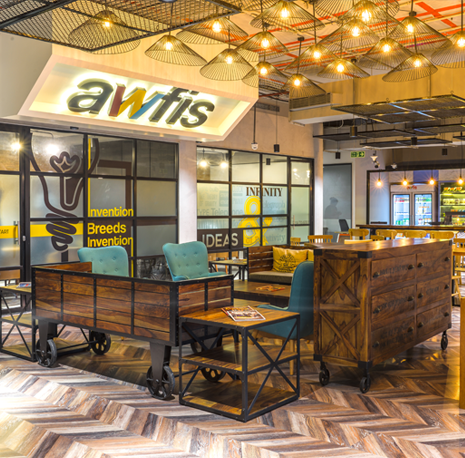 Typically, small and medium businesses use AWFIS’ pro working spaces spread across 20 centres in five cities, although corporates like BNP Paribas, firms like Snapdeal, OLX and Digital Vidya, as well as freelancers use the premises. “Eventually, however, the mobile office solution will be on the AWFIS app. 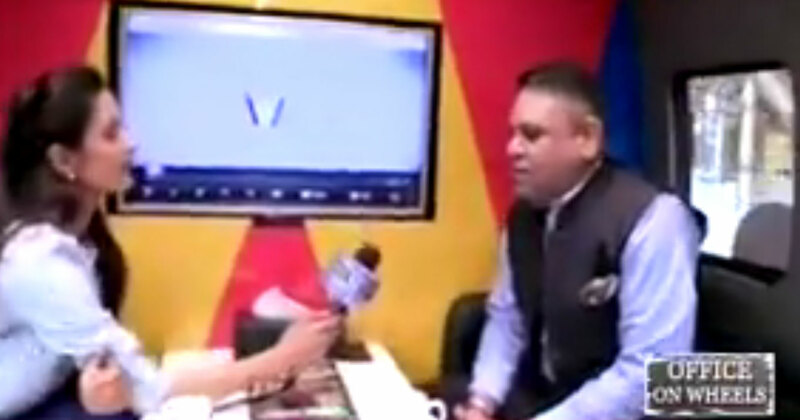 If a non-member would want to book it we could consider it,” says Ramani. Rental rates have not been decided, but Ramani says the pricing plan will offer both hourly and full day’s rental options. There are no ride share options: a company will have to book the entire 12-seater. For now, AWFIS uses a Force Traveller, with its interiors redone to include a pantry and a washroom. Going forward, subject to demand, it will introduce 24-seaters. “We could even consider smaller options such as SUVs,” says Ramani.